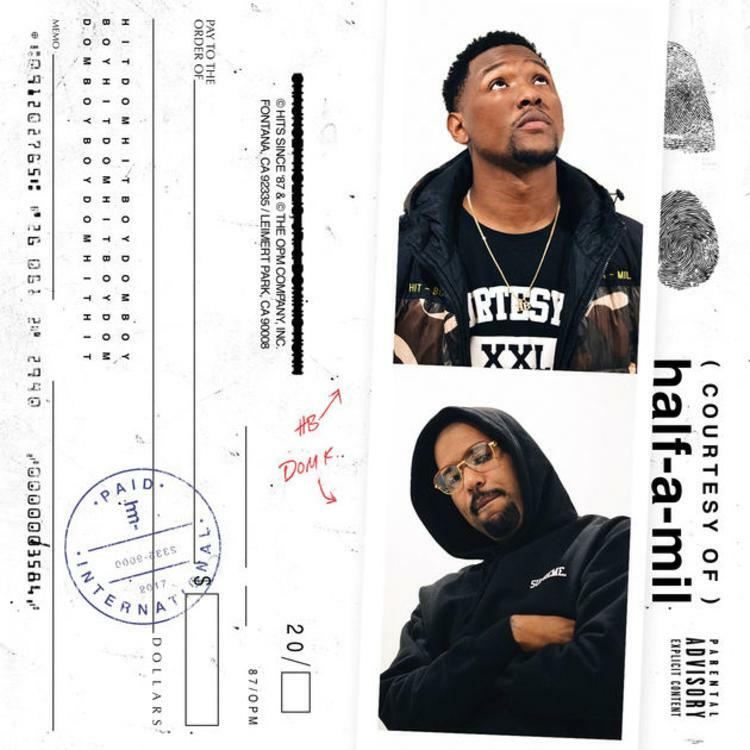 Dom Kennedy & Hit-Boy Drop Off Debut Album "Courtesy Of Half-A-Mil"
Home>New Mixtapes>Half-A-Mil Mixtapes> Dom Kennedy & Hit-Boy Drop Off Debut Album "Courtesy Of Half-A-Mil"
Dom Kennedy & Hit-Boy make their formal entrance as "Half-A-Mil." Dom Kennedy and Hit-Boy make their formal entrance into the game as Half-A-Mil with their debut album Courtesy of Half-A-Mil. It's been a long time coming and through the years, they've dropped off three separate EP's as Half-A-Mil. The two Californian get together over smooth production with their even smoother flows on this project. Courtesy Of Half-A-Mil is an excellent full length project to follow a series of short projects. Over 14-tracks, Hit-Boy and Dom showcase their strengths as individual artists as well as collaborators. The keep the collaborations minimal on Courtesy but the ones they do bring a different dynamic to the song. They get Tyus, Ty Dolla $ign, Larry June and B.Carr for the project. While it's their debut album together, it solidifies their chemistry on wax. For anyone that had their EP's on rotate, Courtesy of Half-A-Mil is a proper album that makes Half-A-Mil a force to be reckoned with. MIXTAPES Dom Kennedy & Hit-Boy Drop Off Debut Album "Courtesy Of Half-A-Mil"